You’ll love 400 Place’s charming and clean townhomes with convenient access to shopping, dining, banking, and recreation. Come home to 400 Place Townhome’s spacious and well-designed floor plan and relax on your private patio. 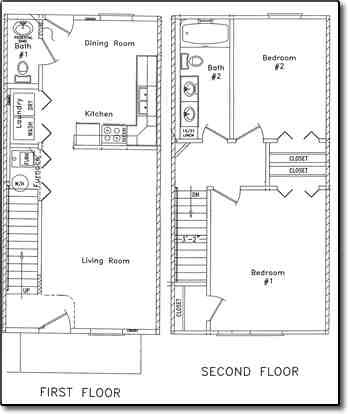 2 Bedrooms, 1.5 Bathrooms, 1000 Sq Ft! Huge Master Bedroom With 2 Closets! Main Bath Features A Double-Bowl Sink And Lots Of Cabinet Space! Refrigerator With Icemaker, And Stove/Oven! Private 1-Car Garage With Extra Side Storage Space! Garage Door Remote Controls And Keypad Included! Within Walking Distance To School, Park, Bank, Library, And Post Office!